We want blog comments. We crave comments. We go to great lengths to get comments. 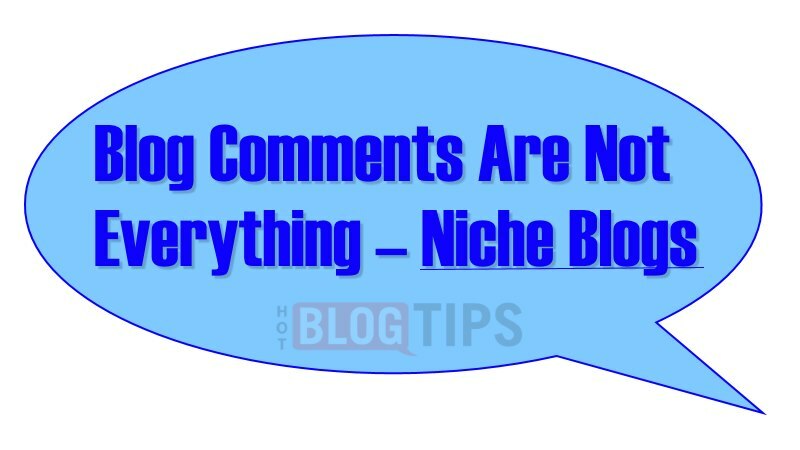 Are blog comments really that important? As bloggers and/or internet marketers, we know the value of blog comments; both on and off of our blogs. The value of blog commenting help bring the members of these groups [bloggers/IM] together in the masses. It’s a fantastic thing to witness and to be a part of. We have a rolodex full with online friends that most niche sites cannot even dream about. We have fierce competition yet we come together to help our competitors because they have became friends and we understand the value in that as well. 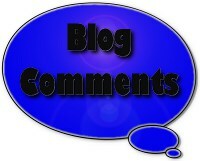 Blog commenting has a lot to do with sparking those friendships, along with social networking. Niche blogs are a completely different animal. It’s much harder to gain that same user interaction in the form of blog comments. The difference is, of course, we’re dealing with blogger/customer or blogger/reader rather than blogger/blogger. Niche blogging can be very frustrating but just as rewarding. As bloggers, we crave that interaction but those visiting our blogs have little to gain for the effort and are visiting our blog for different reasons. Outside of the blogging and online marketing niches, few people understand the need to leave a comment unless it’s to ask a question. Even many niche bloggers don’t know enough to reciprocate when other bloggers comment on or link to their blogs. To find the answer to a question. Let’s take a look at niche sites that never get a single quality comment. Are they simply a failure? Isn’t that how we, as bloggers, grade other blogs? Absolutely not! Or, at least, it shouldn’t be. For example, letâs say you have a niche blog for a Limousine and Livery Service. You get few comments and you begin to wonder why you even bother with the effort involved in maintaining a blog. Another example, in the same niche, is by a good friend of mine that happens to own a limousine business, Extreme John. John may not get a lot of comments on Insane Limos but he knows the value of a niche blog and works it like crazy. There are a few reasons that the blog may be very beneficial to your business. These benefits are not always readily apparent. We know that Google loves blogs. Blogs do very well in the SERPs (search engine results pages) when maintained properly with fresh content and a little optimization. A blog attached to your business website can help give your customer and/or website visitor exactly what they want – information. Blogs are a great way of delivering testimonials, frequently asked questions, introducing new products or posting promotions and specials. So the next time you feel discouraged because your niche blog is getting few blog comments, remember the other reasons to maintain a blog. There’s even a continuous debate among certain bloggers whether or not we should even allow blog commenting at all (I don’t support that theory unless you are just using the blog format without the need for an “actual blog”). A few popular bloggers already have disabled the commenting feature altogether. Other bloggers have comments automatically turn off for older posts to help prevent comment spam. Rather than concentrate on blog comments, focus your attention on quality & original content, SEO, building traffic and, more importantly, serving your customer. Work social media for all it’s worth and build an email list ($). The payoff can be very high once you begin to dominate your niche, comments or no comments. Do you have niche blogging sites? Do you get a steady flow of blog comments? What are the reasons you blog in your niche? This blog post topic was inspired by Paul Abbott‘s comment yesterday. For that we thank him. 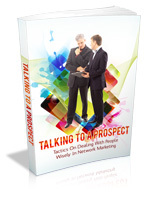 Paul has won a free copy of theÂ Talking To A Prospect e-Book.